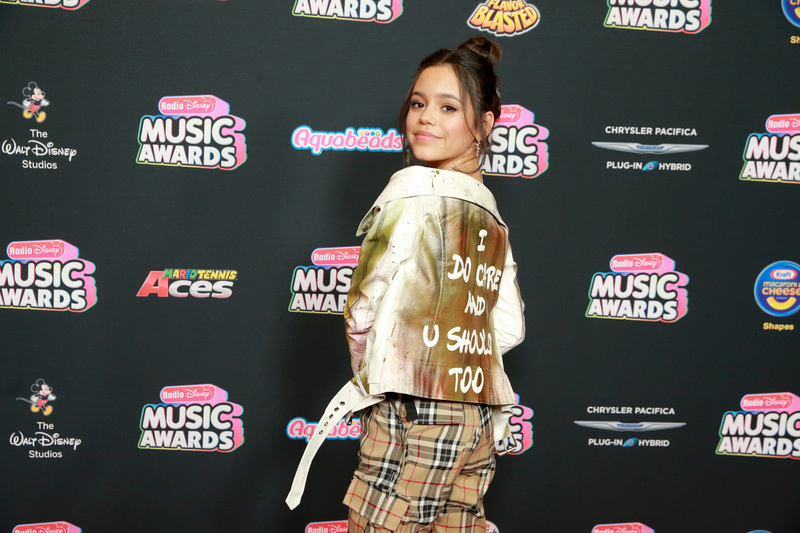 Jenna Ortega sent a loud and clear message to First Lady Melania Trump at the 2018 Radio Disney Music Awards held at the Dolby Theatre on Friday in Los Angeles. The “Stuck in the Middle” star, 15, rocked a bright gold jacket that was spray-painted with the words “I do care and u should too.” The message was a direct response to Melania’s jacket that read “I really don’t care, do u?,” which she wore on Thursday to visit an immigrant children detention center near the border. Melania’s fashion selection got a massive response from Hollywood, with many stars pointing out that the jacket was totally inappropriate given the place in which she was going to visit and that status of the immigrant children. Jenna’s jacket definitely made a statement of its own. She snapped a picture of her red carpet look and put it on her Instagram on Friday with the caption, “dear @flotus.